Beginning December 1, 2014, attorneys filing new civil actions will be required by amended Local Rule 3-2 to file their case-initiating document(s) electronically, using the Court’s Case Management/Electronic Case Filing System (CM/ECF), unless exempted from electronic filing by amended Local Rule 5-4.2. (The amended local rules effective December 1, 2014, will be available on the Court’s website at http://www.cacd.uscourts.gov/court-procedures/local-rules; amended Local Rule 3-2 may be previewed at http://www.cacd.uscourts.gov/news/changes-local-rules-proposed-become-effective-december-1-2014.) All other documents required to be filed concurrently with the case-initiating document, including the Civil Cover Sheet (Form CV-71), and Notice of Interested Parties, must also be filed electronically. Any filing fee that is required must be paid online at the time the case-initiating document is filed, unless a request to proceed in forma pauperis is filed concurrently. Please note: Certain proceedings that are administrative or otherwise ancillary to civil actions are processed by the Court as “miscellaneous” cases. Case-initiating documents for miscellaneous cases may not be filed electronically. Common proceedings that qualify as miscellaneous cases include registration of judgments from other districts, motions to quash, modify, or enforce subpoenas from other districts, notices of receivership pursuant to 28 U.S.C. § 754, and petitions to quash a third-party IRS summons. A more complete list of miscellaneous cases, as well as a more complete list of documents initiating civil actions, is available on the Court’s website at http://www.cacd.uscourts.gov/e-filing/civil-case-opening. If the case-initiating document you plan to file on or after December 1, 2014, is not specifically identified in this Notice, you should consult those more complete lists to determine whether you must file your document electronically. 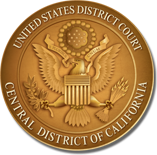 In preparation for filing case-initiating documents electronically, it is strongly recommended that attorneys and support staff review the Attorney Case-Opening Manual and training videos that are available on the Court’s website at http://www.cacd.uscourts.gov/e-filing/civil-case-opening.